Most of the articles I've read about Sleep Paralysis (falsely) assure the reader that the inability to move doesn't last very long. Mine may run only a half hour, but more often 5 to 8 hours are typical. Last week, I awoke at 8:00 am (I could tell because the wall clock chimed). I was totally unable to move. A couple of hours later, my health worker arrived to take me to two doctor appointments. She was unable to bring me out of the paralysis. It was finally 1:00 pm when I was able to move. That's 5 hours. I missed both medical appointments and had to re-schedule. I cannot work any job where I need to be there at a certain time because there's no guarantee that I will be able to move in the mornings. Sleep Clinics and Mental Health professionals have no clue how to help. Any suggestions?? Kevin: Hey Alan, that sounds like some seriously abnormal REM processes. I had never heard of sleep paralysis lasting that long but I talked to someone with more experience and he said that he has heard of it on a few occasions, but only as a symptom of narcolepsy. Does anything in our article about narcolepsy sound familiar or relevant to you? My one suggestion that I couldn't stress more would be to keep searching for a sleep doctor, but specifically one who has experience and knowledge about narcolepsy. A lot of doctors don't and they won't be able to connect the things you are telling them to the things you actually should be doing. My little cousin aged 4 years was unable to move her legs after she woke up, for the whole day. She has been a most active kid but she for the whole day she just kept at one place in bed. She hasn't faced any major disease in the past. We are very worried, what to do about it? I also wake paralyzed every day and feel like I'm paralyzed all night and usually until noon or later, 6-12 hours. Have experienced brief sleep paralysis with hallucinations, but I never have hallucinations any more. I also sometimes go into paralysis again late afternoon or eve for 3-4 hours. Rest after exercise is another common trigger of pp. I have had many sleep paralysis bouts over this last year but, today was the Mother of All of them! Mine usually last around an hour or two. Today, though, it was 5 hours. I heard the clock chime, the T.V., my housemate bringing in the mail... all of it. Yet, I wasn't able to move. I'm usually able to open my eyes and move my fingers a bit but, not today. Not until the last hour of it. My daughter finally came home from university and she asked me if I was okay. I twitched my fingers (this is my way of telling her I was in a paralysis) and she came over an man-handled me into a sitting position and starts to rub my body. This is the only thing that will bring me out of it before it is finished with me. I'm not sure how long I would have been there if she had not come home when she did. I do need to preface that, I have Bi-Polar II disorder, I have insomnia and yes, I am on medicine for them. Although, for the last few months I have been transitioning to a more holistic arena. I have been able to get myself off of two of my medicines but, I am still on another two (Doxepine and Restoril). The latter ones deal with mainly my insomnia (I get a little anxious if I think I'm not going to be able to sleep). I also have to state here that I never have hallucinations with these episodes (Yes, I am utterly grateful for that one).I have never been diagnosed with narcolepsy and I have never really done any real research on it myself. Maybe I should. I, also, need to preface that the only time I have sleep paralysis is during a daytime nap. I used to have nighttime (while I was asleep) anxiety attacks but, I haven't had those in a few years. All of my research on this states the same thing: it lasts for a few seconds to a few minutes. If this is you, be grateful!! Seriously, if my house would have caught fire today, I would have perished. I had an actual sleep doctor tell me that there is no tests for insomnia. I felt deflated and kinda out of luck then. I live in the Northeastern USA if, this means anything regarding treatment. Any suggestions out there? Yes, I have spoken to my doctor and therapist about this. I have done everything,obvious,I could think of. I awoke from a dead sleep last month to hear my girlfriend moaning, like she was asking for help. When I looked over her way I could see that her eye's where open. When I asked her if she was ok she did not respond. She also has diabetes, so I was worried that she may have dropped to LBS while she was in this state. So i grabbed her and held her close to me asking her to please wake up. after 5 minutes she woke up and had no recollection of the account. Fast forward to last night (0ct 24th 2015) 3:30 am. She awoke me in the same manner as before, so I grabbed her again to try and wake her but she gave no response to me even though her eye's where wide open and looking directly at me. This went on for an hour until I decided it was time to take her to the hospital. once i started to get dressed she began to make a decent improvement with her ability to move, so I put off going to the hospital. For the next 30 min she was trying to talk, but could only mumble non-sense. Then she went back to sleep. So I watched her until 7 am when she started to do the same thing. So i grabbed her and put her in the car to take her to the hospital. As I was backing out of the driveway she began to actually make sense of her words, but they sounded very slow and slurred. But she was asking me not to take her to the hospital, so I turned around to head home. By the time we arrived home she was speaking in complete sentences and had full control of her body. this was terrifying for myself, but I cant even begin to understand how scared she must have been. I have a cousin that is a doctor in FL, so i gave him a call. He began to tell me that there are many things than can trigger this to happen. Stress, anxiety, high blood pressure, and sleep apnia where the main things that cause this to happen. Your body go's into a deep sleep rendering you to a paralysis, but your mind gets woken up from something such as snoring due to apnia; or simply because you are stressed out and wake up. At this point your mind is awake but your body is still in the deep sleep that it fell into. This is not hazardous to your health, but it is terrifying to deal with. Kimberly, what you describe as 5 hours of total paralysis with no hallucinations is not "sleep paralysis." please see my earlier comment above with links about "periodic paralysis," which is a rare genetic condition, but it must be thoroughly ruled out in a condition like yours. anyone who has repetivie bouts of paralysis lasting 30 minutes or more with no hallucinations needs to rule out Periodic Paralysis, which occurs in four different forms: hypokalemic periodic paralysis, hyperkalemic periodic paralysis, thryotoxic periodic paralysis (mostly Asian males), Andersen-Tawil Syndrome. • According to The International Classification of Sleep Disorders: "Hypokalemic periodic paralysis is perhaps the only condition that closely mimics sleep paralysis. 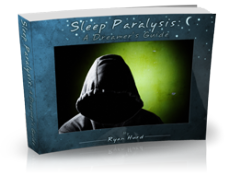 The attacks usually occur during rest; paralysis occurs on awakening as in true sleep paralysis. (…) the condition has a familial transmission, shows low serum potassium levels during attacks, may be provoked by high carbohydrate meals or alcohol, and is readily reversed by correcting hypokalemia". don’t think it would be possible to check electrolytes during an attack. month and she does not connect it with any particular food types, nor with exercise, only with being overtired. She does not have any other episodes of muscle weakness to suggest a myotonia." 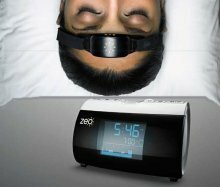 • An alteration of REM sleep homeostasis (possibly leading to abnormal REM sleep phenomena, such as sleep paralysis and sleep-related hallucinations) may be associated with the Periodic Paralyses. • The Periodic Paralyses are characterized by episodes of muscular weakness associated with changes in the serum potassium levels and, therefore, with possible alterations in extracellular neuronal potassium conductance. Two studies in rats (ref 1, 2) suggest that alterations in neuronal potassium conductance may influence REM sleep homeostasis. This, in turn, may result in abnormal REM sleep expression. • The case of a man with sporadic Hyperkalemic Periodic Paralysis who presented with episodes resembling sleep paralysis has been reported (ref. 3). Polysomnographic recordings demonstrated the presence of sleep onset REM periods (SOREMPs). Treatment with a diuretic which decreases serum potassium resolved all the clinical symptoms and a new polysomnographic study showed the absence of SOREMPs. According to the authors, this case suggests that SOREMPs in this patient may be explained by an increased extracellular potassium conductance related to Hyperkalemic Periodic Paralysis. • In a survey conducted among the members of the Periodic Paralysis Listserv (web site: http://www.hkpp.org/ ), we found that subjects with Periodic Paralysis were more likely to report nightmares/abnormal dreams, sleep related hallucinations and sleep paralysis as compared with control groups (ref. 4). This study supports the hypothesis that an alteration of REM sleep homeostasis may occur in subjects with Periodic Paralysis. • Finally, it should be noted that sleep paralysis and the Periodic Paralyses share some common clinical characters, including the periodic occurrence, the possible influence of genetic factors (the familial form of sleep paralysis: ref.5) and the presence of similar precipitating factors (stress, fatigue, alcohol, sleep schedule alterations). The Periodic Paralyses are now known to belong to the family of the ion channel disorders (disorders of membrane excitability resulting from a number of different alterations of ion conductance), so one may question if a ion channel disorder may be involved in the recurrent form of sleep paralysis too. Definitely recommend you do some research on ion channel disorders and periodic paralysis. I am now diagnosed with Andersen Tawil Syndrome. I rarely paralyze completely but I have intermittent attacks of severe muscle weakness. Since my diagnosis I have identified many triggers for my attacks. Stress, high sodium foods, carby and salty foods combined, overheating and exercise intolerance. Classical sleep paralysis is short term, when you get into the realm of an hour or more durations genetics is very likely at play. Peace and Understanding. I also have chronic pain, lidocaine resistance and sensory overload problems. I hope you find your answers. Wow, I never imagined anyone would have sleep paralysis worse than me. I have sleep paralysis 2 or 3 nights per week, some that occur repetitively throughout the night. Lately, i have been timing myself and i have had episodes that that have lasted 30 minutes or longer. It is impossible to wake myself up during these periods - so i just lay there at my body's mercy and try to relax, waiting to wake up fully and be able to move again. Sometimes exterior sounds help, but I've never had anyone try to wake me up so i don't how things would go in that respect. My sleep paralysis gets worse with stress and anxiety, and is accompanied half the time with "phantom" versions of people in the house coming towards me or at me, or my bedroom door would open and I'd see a shadow, then when i wake up the door would be shut. Ive even felt dark presences try to suffocate me as i sleep- as ive learned this is all hallucinations and I'm not actually suffocating but it's still very scary all the same. I'm sorry you have to go through this too - for you, it sounds extremely debilitating and i hope there is some sort of treatment out there for you. I have always had difficulty getting a good night’s sleep and for much of my life I have been on sleeping pills. Recently I went to Colombia to visit my brother who retired there. On the fifth day of my visit I was laying on his couch watching TV and drifted off to sleep about 2 PM. Shortly thereafter, I felt my body shaking a bit and I thought maybe we were having an earthquake. I tried to ask my brother if he felt it too and I couldn’t speak, or even moan. I tried to get his attention attention by lifting my hand but couldn’t do that either. I began to panic inside. Was I dead? What was happening? I could hear the television. I could hear my brother and his friend talking, but I was completely paralyzed! Nothing like this had ever happened to me before. Then my body started shaking and my brother noticed. He kept asking me if I was all right. I could sense the panic in his voice though I couldn’t see him.He and his friend got me to the hospital where a battery of tests were done.i was paralyzed for 50 minutes! Waiting for results, but they believe it is periodic sleep paralysis. Scariest experience of my life. I also had similar paralytic issues when I was 18-21. The episodes I had could be triggered anywhere. Once in a bar and once at gym. The diagnosis was usually that I imagined it or Im craving for attention. I have had problems sleeping always. I move a lot in my sleep, snore, sleep apnea and I require lots of sleep to feel even slightly refreshed. When the first time I had episode during the day I had insane headache which caused me to lose consciousnesses. I woke up when the ambulance arrived but couldn't move. The first episode lasted for over 24hours. The only thing I could do when I was spoken to show I was awake and heard was to shed a tear. I went through ECT after 5th episode which caused me major memory difficulties I still battle with but didn't help otherwise. After I got out of the hospital my mom took my to a private doctors reception and he prescribed me with Venlafaxin named antidepressant. I didn't have any hopes at start but the medicine really helped me a lot. After a year using Venlafaxin I feel much better I think that SNRI offered me the lift to brain chemistry I was needing. Would be amazing to know if you tried any SNRI medicine, Magnetic Seizure Theraphy or things like that? I still sometimes get episodes I call getting bugged. They feel like something in my head clogged, causes medium pain but then relieves. Basically nothing compared to what it was like before. so for me SNRI worked but brain chemistry is very invidual so I suggest giving a shot to antidepressants. I think we as humankind are lacking or having too much of something in our nutrition and it ends up causing brain chemistry related problems.